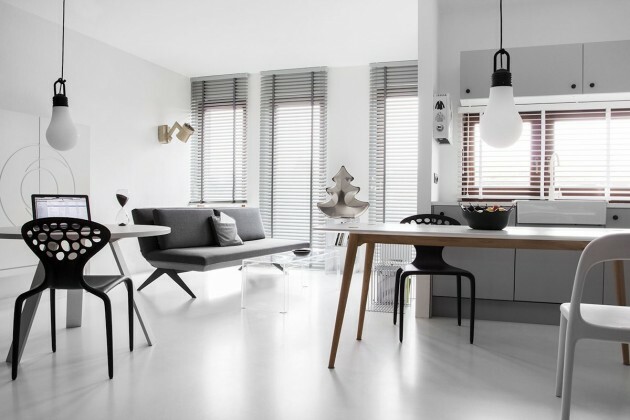 KASIA ORWAT home design have designed the interiors of a studio, located in Poznan, Poland. 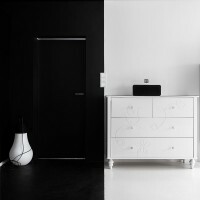 Black and white – two distant poles, two extreme opposites. 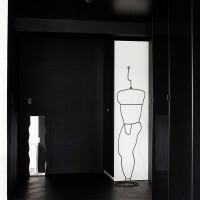 As the two zones in which this studio in Poznan is organized – black and white. The coherence of this project seems to deny the contrast it is based on. But this is not only an aesthetic procedure, the strong distinction is primarily due to the carefully thought space functionality. The white area is a living zone – where daily activities take place. 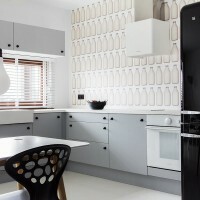 Functions as kitchen, dining room, living room, bedroom and work space flow and interact with each other in a natural way since there are no obvious divisions – mobile lightweight multifunctional furniture and adaptable interior lighting based on busways, ease owner’s life adapting to its needs. The black part of the apartment is the communication and storage area. 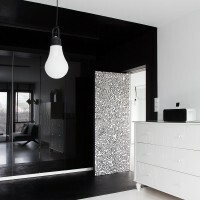 Colored in absolute black, wall hides the door to the bathroom and extremely capacious wardrobes. Varied finishing materials create a very enjoyable interior. 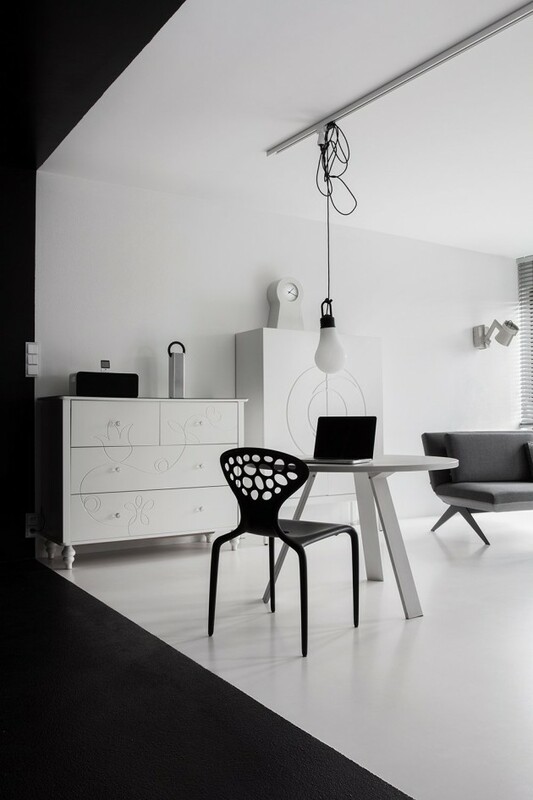 Resin floor – plain black and white with different textures – operates on the same principle of contrast. Walls and ceiling are treated with matt ceramic paints and cabinets with high-gloss fronts acting as mirrors, visually enlarge a relatively small space of 46 m2 that thanks to mobile furniture – and excluding unnecessary items – seems to be much bigger. A modern space perfectly suited for a predicting trendwatcher lifestyle, for those who carefully observe the phenomena of so-called “contemporary nomadism”.